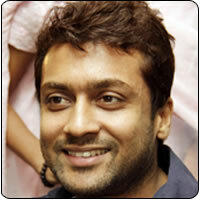 Suriya graced the inaugural ceremony of the Allure Unisex Salon at Nungambakkam on June 19th, 2010. This venture is a collaboration venture between Schwarzkopf Professional and Allure Salon. Ms. Varsha, owner of Allure salon, said, “We are pleased to announce our new venture in Chennai and very happy to be associated with Schwarzkopf Professional as it satisfies the requirements of our customers from regular grooming service to spa service offerings. Special training and techniques have been signified to create a delightful customer experience at our salons.” She also summarized the beauty and grooming services that will be offered at the Salon.